Know someone who loves to bake? 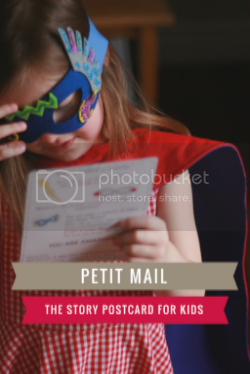 Here are some creative gifting ideas. 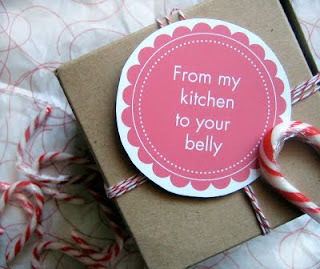 Speaking of free printables, I think these "From my kitchen to your belly" tags from the blog Everybody Likes Sandwiches make an absolutely perfect gift for anyone who likes to bake and GIFT baking. I made some of these for a friend and attached ribbon so that they could be used as gift tags. Here's the finished result (notice that I used cute cupcake ribbon to tie in with my theme!). 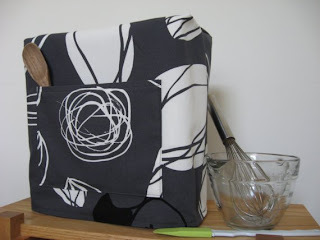 For any baker who owns a KitchenAid mixer, I love these mixer covers from Etsy seller everythingscovered (I actually have the exact one shown in the photo). They are well-made and look great on the counter. I guess some people don't keep their mixer on the counter, but for me, it's too heavy to be lifting around, so I love my cover! 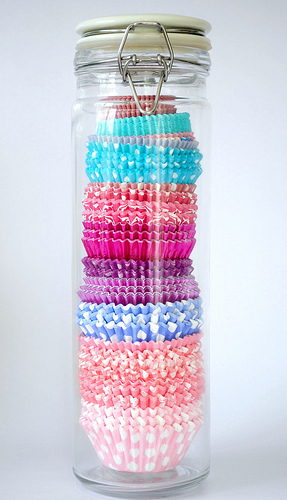 I also love this idea of putting together an assortment of cupcake wrappers in a tall glass jar. 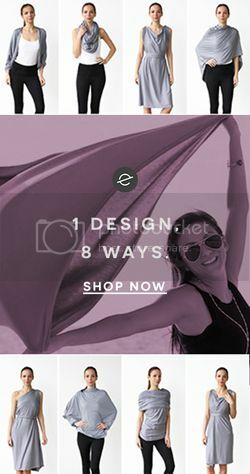 The presentation is so thoughtful and makes for a really fun gift! I think these thoughtful gifts would add joy to any bakers life! 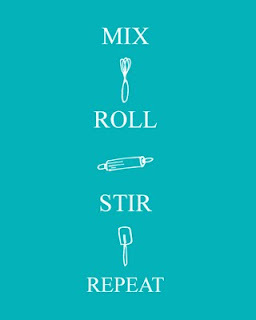 Do you have a creative baking idea? Please share.